A small town, Ieper is easy going. Tourists come mainly for its First World War history sites and museums. 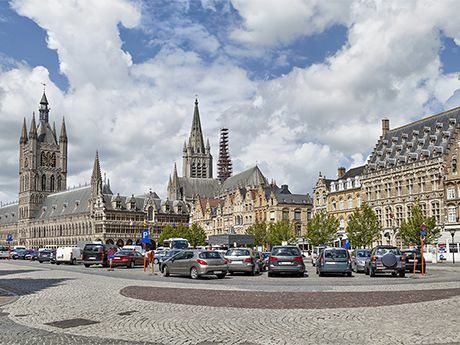 A popular icon is the Cloth Hall, dating back to the 13th century, attractions include traditional Belgian beer, chocolates and markets. Learn about the New Zealand effort in Ypres and Poperinge, find out about how the hospitals and transport systems worked, and see evidence of the soldiers’ sacrifice in the many cemeteries. Find out about the preparations for the New Zealand and British assault, see the landscape over which the soldiers advanced, and learn how the Germans inflicted defeat upon the Allies - causing New Zealand’s darkest day. The New Zealand Division wintered here after their defeat at Passchendaele. They prepared for an attack on Polderhoek Chateau and trained in anticipation of the impending German offensive. See the remaining German bunkers where much fighting took place, hear about the painstaking preparations, the huge mine explosions - and the attack in which the New Zealanders took Messines village - resulting in complete victory. 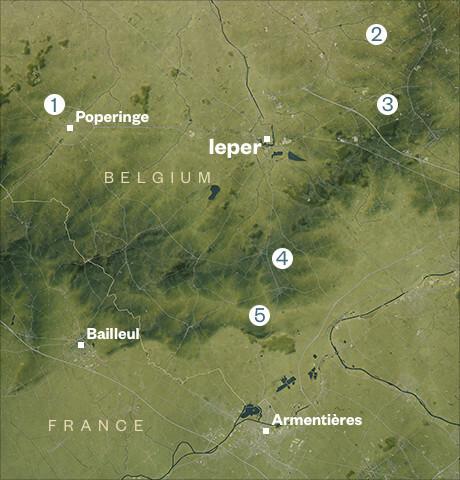 Learn about the soldiers’ lives billeting near the town of Armentières and their interaction with locals. At Plugstreet, find out about life underground, and the battle at La Basseville. Located on the second floor of Ieper Cloth Hall, this museum focuses on the story of the First World War in the Flanders region. On the ground floor of the Cloth Hall, look out for the Ngā Tapuwae digital interactive. Also known as Toc H, Talbot House is a living museum where soldiers once relaxed and escaped the war. 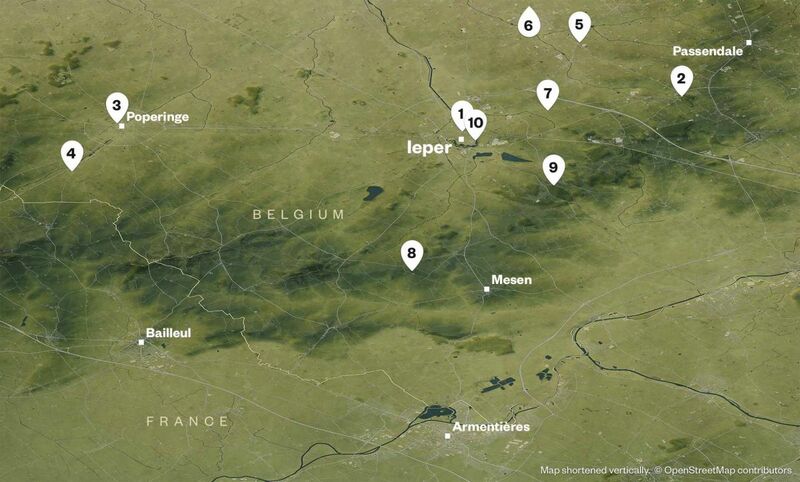 The centre provides an interactive history of the area during the war. Known as the Brooding Soldier, this memorial commemorates the Canadian 1st Division soldiers who died during fighting, 22 to 24 April 1915. Langemark is one of four German cemeteries in the Flanders region. This crater is where the largest of the 19 mines blown by the British exploded. Near Hill 60, the Caterpillar Crater is a popular site. Originally casemates housing military equipment, this historic location is now home to a brewery, with tours by appointment.